STAFF AND UNIONS for Aer Lingus are set to meet at Shannon Airport later today to discuss plans to sell off the Shannon Hangar. Unions representing the employees have already said that strike action at the airline over the summer is “likely”. Aer Lingus plans to sell off the Shannon Hangar in a move that is likely to see up to 55 compulsory redundancies or relocations for staff. Trade union officials say that they presented a case to management this week which would have yielded the same saving of €1.5 million but were given a “frosty reception”. “It now appears that the workers representatives who were engaged in what they thought was an opportunity to find the savings necessary to protect their jobs were not given a fair hearing,” said Unite Regional Officer Brian Gormley. 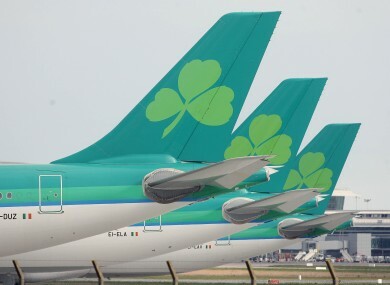 “It seems that Aer Lingus management were commited all along to divesting the lease of the Shannon Hangar and moving the work to Dublin”. The meeting of maintenance workers and their trade union officials is due to start at 12 noon and is expected to last two to three hours. Email “Unions, staff to hold talks at Shannon over plans to sell off hangar”. Feedback on “Unions, staff to hold talks at Shannon over plans to sell off hangar”.